There was a special poem on Judith’s blog: I choose how I will live the rest of my life. 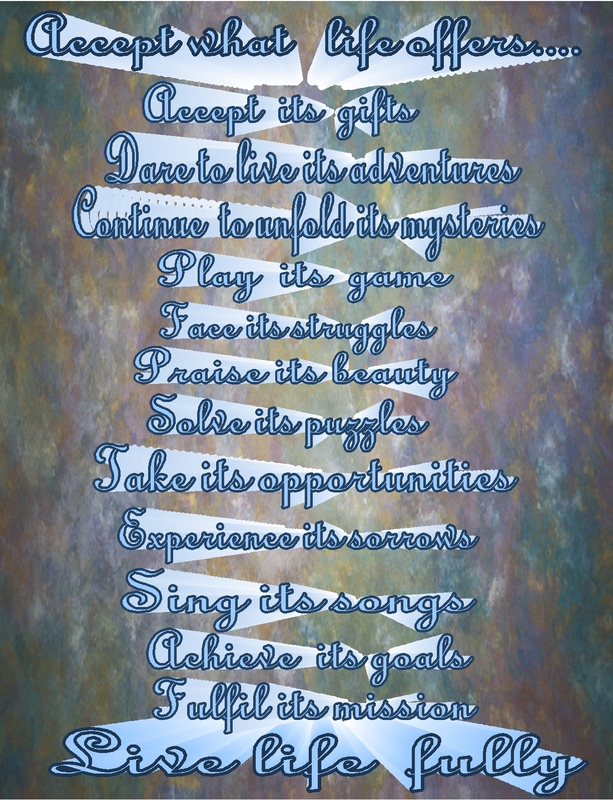 Here’s the poem….from the book Even Eagles Need a Push, by David McNally…. I (Kathy) put those lines onto a “page”…. hoping that your ankle heals quickly and well…. please take care, rest and be well…. 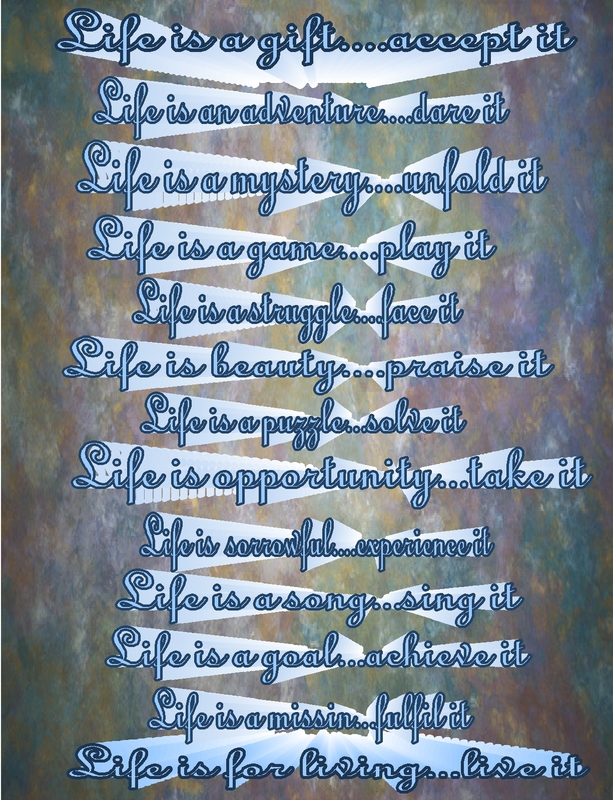 4 Responses to Life is a gift…. Oh, I’m so happy you like them…. and I’m happy to share anything that I make with others…it’s a pleasure to think of others sharing the ideas…. And ah ha….you have your own laminator too…I love having a laminator…it’s such a pleasure to run pages though the machine and to see how special the laminated pages look. Thank you thank you again. I have now printed out the special page, it is laminated and on the wall where I can see it. I have expanded my post somewhat and have included your lovely posts.